It’s Women’s History Month and the children’s literature community is celebrating with 31 days of posts seeking to address gender and social inequalities in our industry. Join the conversation at KidlitWomen on Facebook and by searching #KidlitWomen on Twitter. If you have known me for any length of time, you have probably heard me tell a little story—a true story, first told to me by my dad—that I like to call The Parable of the Couch. Many, many years ago, my parents’ had a neighbor who bought a new couch. He dragged his old one to his curb and placed a small cardboard sign upon it, marked FREE. 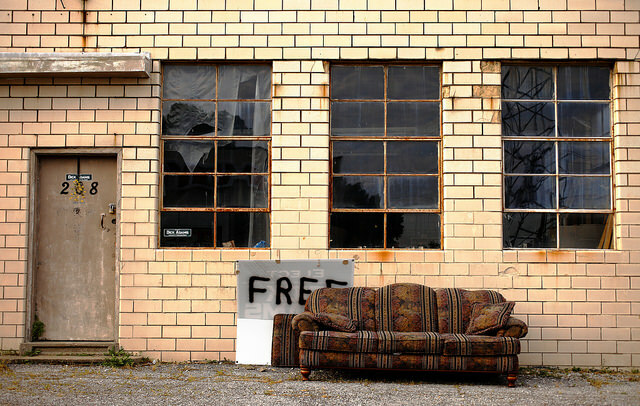 The couch sat outside, without so much as a single inquiry, for an entire week. The neighbor, not wanting to haul it away himself, developed a different strategy: He removed the FREE sign and replaced it with a new one—this one marked: $10.00. Friends, someone stole his couch that very night. Here’s a truth: When you value something, other people value it as well. Publishing doesn’t like to talk about money—at least not out in the open—so I can link to no studies showing the gender wage disparity when it comes to school visits and speaking fees. But anecdotally, I have heard account after account of men, at similar, or even lower, career levels to their female counterparts, being paid more—often when speaking at the very same event. Could part of the problem lie with women not asking for enough? Real thing that just happened to me: I quoted a client a rate, and the project manager responded with “how about we triple that, so it better matches what we’ve paid our male designers for the same work?” 1. This client is heroic. 2. Female designers: ASK FOR MORE MONEY. [Generalization Alert] Men, I love your confidence. I love that you can ask top dollar—demand top dollar—without worrying too much whether you deserve it or not. That is truly a skill, and one that doesn’t come easy to many women. Stop feeling guilty for wanting to be paid well. Stop standing at the curb with a FREE sign around your neck, hoping to be noticed. You have worked extremely hard to get to where you are. You are an expert in your field. Throw your shoulders back and act like it. Approach every negotiation with the confidence of this kid. Let’s each place a high value on the work that we, and our industry peers, do. Let’s work together, and use what privilege we have, to raise each other up. End note: Though this essay focused mainly on women, the disparities mentioned also apply, and often to an even greater degree, to people who identify outside the gender binary. My apologies if anyone felt excluded. It is fourth grade. A big year for you—new house, new school, new friends. Or at least new kids who mostly will be mean to you but eventually will be your friends. But don’t worry about all that right now. In fourth grade, you’ll be asked to learn lots of things. But only two of them will stick with you forever. The first is how to dip yarn in glue and wrap it around a balloon. Let it dry. Pop the balloon. Boom. You have an ornament. This is not really helpful information to learn and you’ll never actually do it again, but you’ll always remember how. So there’s that. The second is that your teacher will insist sneezing down your shirt is way less germ-spreading than sneezing into your elbow or your hand. This is actually helpful information and one day dozens of kids (your students, your own children) will learn the same thing from you. So thank you, Mrs. Bilbrey. The rest of fourth grade is kind of boring frankly. Even though you’ll try to make it interesting by constantly switching BFFs each week and driving your teacher crazy with all the desk rearranging. But then—one day—you’ll discover something that makes it interesting. A book. The Diary of Anne Frank. You’ll discover this book in a public library because it has the word diary in the title and you love diaries and the idea that someone could publish their own book of secrets and ponderings intrigues you. And then, you’ll take it up to the check-out desk and the lady there will try to dissuade you from the book. She’ll tell you it’s a little too grown-up for you. She’ll look at your mother and they’ll have one of those conversations grown-ups have about kids in front of them like the kids can’t hear. So annoying. And so, you bring it with you to school and you read it at your desk while you’re waiting on everyone else to finish their spelling or their cursive. And once you will go up to the teacher’s desk to ask her what a word in the book means but that’s bogus really. You’ve never had a problem with context clues. You only want her to see what you’re reading and be impressed. You won’t remember if she is. But you will remember that book. That girl. It will change something inside of you, shatter some bit of childhood that made you think the world was basically a kind place. You’ll learn this year that kids have bigger problems than being teased or dodgeball or even poverty. You’ll never stop thinking about Anne Frank and kids like her. Ever. You’ll grow up and write stories about kids who survive really tough things because you just can’t get those kids out of your head, no matter how hard you try. But that’s a long way off. It’s fourth grade for you now. So go back to it. You have some books to read. I’m not talking about those Sweet Valley High books. Just put those aside. Really. Read the other stuff, the stuff that makes you think more and tastes less like marshmallow cream. Because that’s the stuff that will shape you into who you become to be. The journey west by wagon train promises to be long and arduous for nineteen-year-old Mary Ann Graves and her parents and eight siblings. But she is hopeful about their new life in California, and the possibility of freedom from family demands that she aches for. But when winter comes early to the Sierra Nevada, the Graves family, traveling alongside the Donner and Reed families, experiences one of the most harrowing, tragic, and storied journeys in American history. Amid the pain of loss and the constant threats of freezing temperatures and meager supplies, Mary Ann learns what it means to be part of a family, to make sacrifices for those we love, and, above all, to persevere. 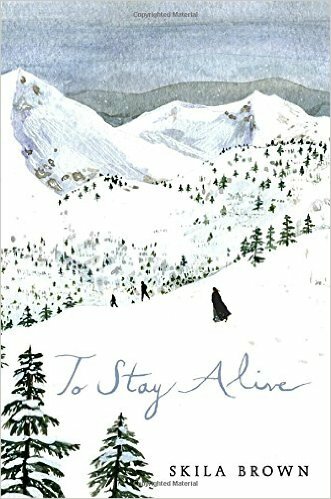 To Stay Alive is a moving narrative told from the viewpoint of one of the survivors of the ill-fated Donner Party of 1846. 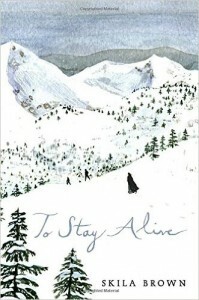 Find To Stay Alive on IndieBound, Amazon, and Barnes & Noble or ask for it in libraries and bookstores near you. Find more Hey Kid! letters here. 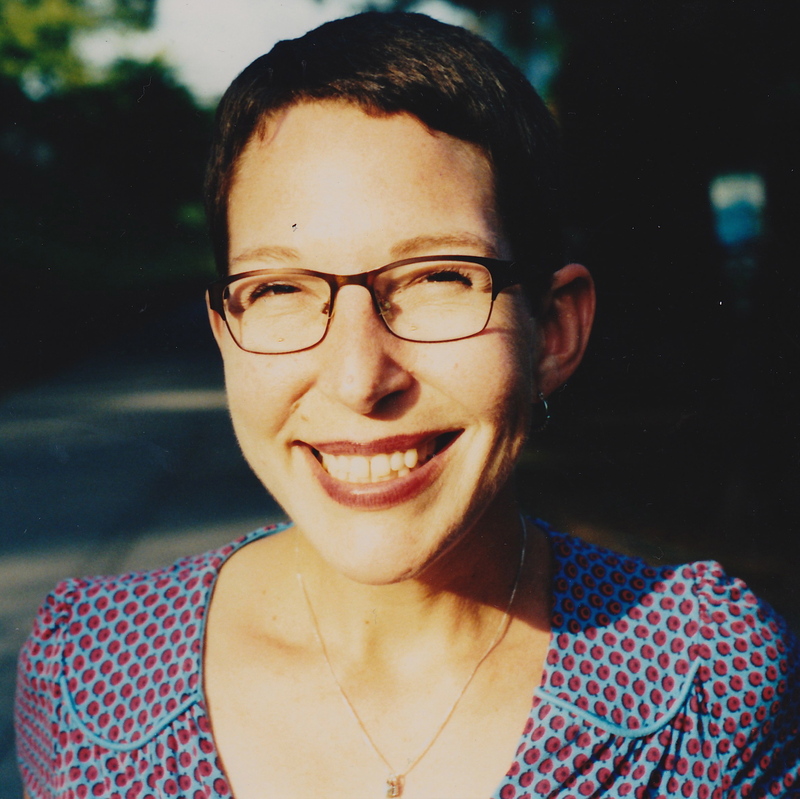 Skila Brown is the author of verse novels Caminar and To Stay Alive, as well as the picture book Slickety Quick: Poems About Sharks, all with Candlewick Press. She received an MFA from Vermont College of Fine Arts. 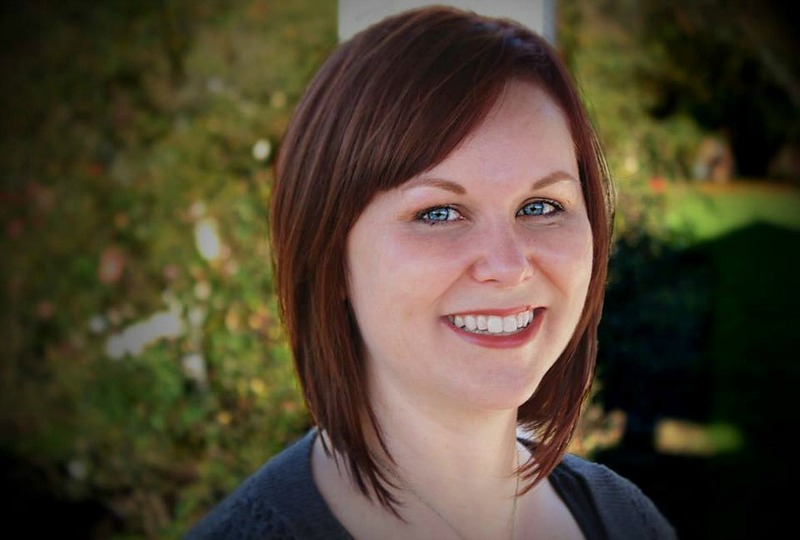 She grew up in Kentucky and Tennessee and now lives in Indiana where she writes books for readers of all ages. Connect with Skila on skilabrown.com. You know all that reading you love to do? Exploring the shelves of the library on your own and randomly choosing things that appeal? Keep doing it. Also, those stories you like writing, and that diary you’re putting all your thoughts and feelings into are very good uses of your time. Both will really pay off for you, though I don’t want to spoil the surprise. In fact, you’re about to get into an even more productive writing phase once you find that poetry book on mom’s shelf. I don’t have a lot of advice there, because you do a good job with it. Mainly I want to thank you for what you’re doing. Thanks for keeping it all up. For experimenting and showing people what you write. For taking it all very seriously. Middle school is actually a pretty great time for you, kiddo, so I don’t have a ton to say in that department, either. Only that maybe you can spend a little less mental energy focused on boys. And assure you that the major friend heartbreak you’re about to suffer will turn out to be a very good thing. It’s gonna hurt like hell, but trust me; it takes a long time to straighten out, but when it does it’s fantastic. In general you’ll have wonderful friends—keep having a blast with them—and terrific fun with clothes. I still wish we had some of the stuff you picked out then. I know there’s a lot of pressure on you right now at home. You’re shouldering a lot, and will have shoulder even more, I’m afraid. It isn’t fair. It will cause us some problems later in our grownup life, I hate to say. But it’s also part of who we become and that has turned out, so far, pretty awesome in spite of hardship, so I don’t really know what to tell you about it. Only that I, and lots of other grownups around me now all know (including Dad) that you never should have been put in that position. 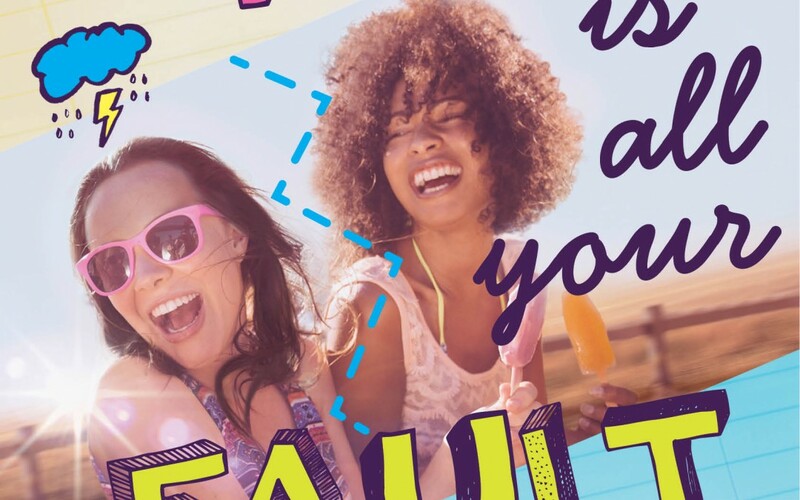 Whatever bad decisions the grownups around you made—they aren’t your fault. Okay? I know you don’t even feel that right now in a conscious way, so this may seem a little heavy, but keep that sentiment in your heart for when you need it. Meanwhile, keep dancing your bootie off at every opportunity, keep laughing wildly in the halls, and coordinating all your friends for parties and hangouts. Keep babysitting (though maybe save that money instead of immediately spending it on clothes). Keep reading, and above all keep writing it down. Just keep being you, kid, and we’re gonna turn out fine. Life without a best friend is confusing, scary, maybe impossible. But as Fiona navigates a summer of big changes, she learns more about herself—and friendship—than she ever thought possible. 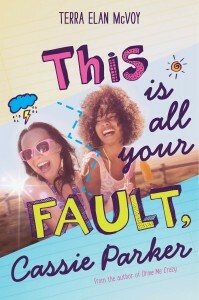 Find This is All Your Fault, Cassie Parker at all the usual online places, including IndieBound and B&N, or ask for it at libraries and bookstores near you! 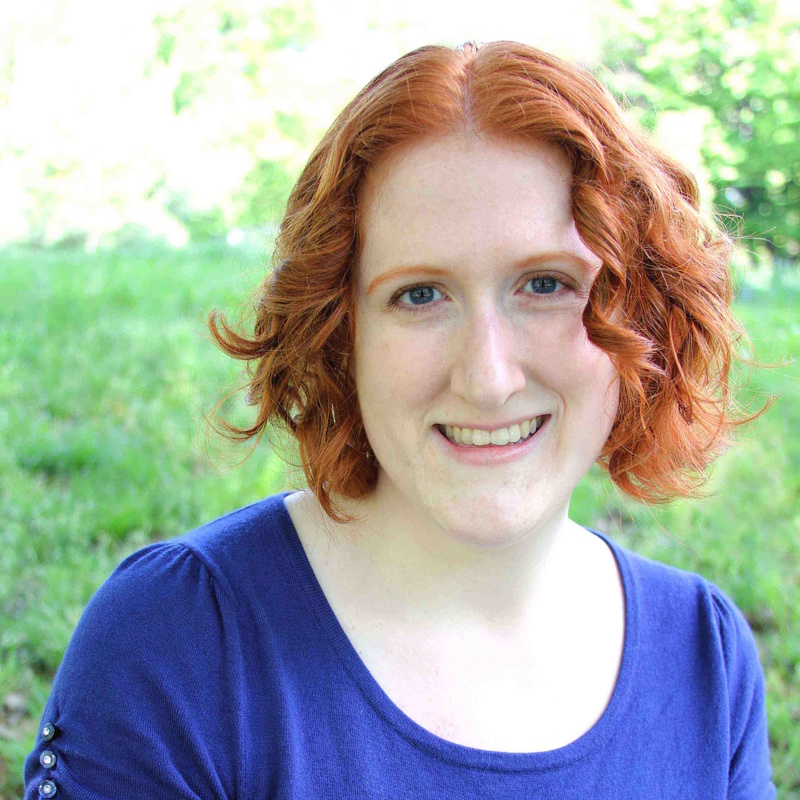 Terra Elan McVoy is a MG and YA author, an independent bookseller, a Fluevog shoe collector, and a banana cream pie maker. Not always in that order. She lives in Atlanta, GA with a guy who plays theremin on a regular basis. Connect with Terra on TerraElan.com Facebook, Twitter: @TerraMcVoy, and Instagram. A letter from the next century! Shock-er-oo, right? Before you read this, here’s what you need to do. Tiptoe into your bedroom, lock the door and pray that the barbarians (those four younger siblings) don’t start banging on it. Privacy! I remember how impossible it was to get any in that crowded little house. I remember daydreaming about living on a houseboat, or a ranch out west, or in a peaceful convent. Next, clear a spac e on your bed among the books, stuffed animals, books, homework, and books. Lie down. This letter bears astonishing news. 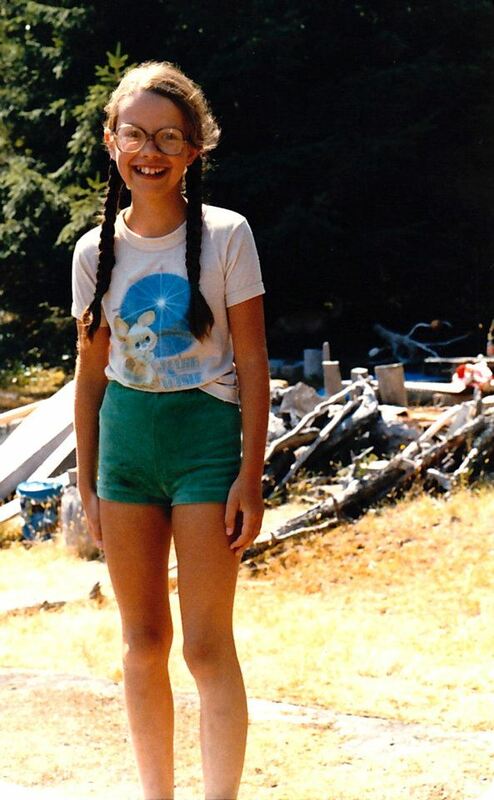 Tricia, you’re not going to grow up to be a sailor, rancher or nun. You’re going to be a writer. It’s too weird, right? Much as you love stories (another way to escape into a private world), you could not care less who wrote them. For you, a good book is like one of those crazy-beautiful mushrooms that pops up after a rainy night. Where did it come from? Who cares? The story itself is all that matters—the characters and what happens to them. You turn the pages as quick as you can, never stopping to reflect that someone, somewhere, made this all up. That thought’s almost insulting. Books feel true and real as life itself, only better. If you thought at all about the writer, you’d have to put Her or Him on a par with God. But wait. This year your teacher is Mrs. Minot. She has dandruff and coffee-breath and always looks tired, like most teachers, but she seems to trust kids, which is different. At the end of the day, when she actually gives you free time, you usually read, but one day you decide to try to something. You’ve just read Ballet for Julia, where a messy, clumsy girl goes to live with her crotchety old aunt. Julia discovers she’s really a graceful, beautiful ballerina. For some reason, you start to write Ballet for Adelaide, more or less the same exact story with a few name changes. What makes you do that, Tricia? All these years later, I have no answer. But I still remember my heart thrumming as the words spilled out onto the paper. “What are you doing?” Mrs. Minot asked, breathing her coffee breath upon me. And when I told her, “Maybe you’ll be a writer someday”, she said. Guess what? More than fifty (!!) years later, when you have forgotten many, many other things, you will still remember that. And this time, you will think, Yes. That everything happening to you now, all the books you’re reading, wishes you’re wishing, prayers you’re praying, bonds you’re forming and breaking, fears you’re facing and dreams you’re chasing—that all those things will one day turn into stories, don’t think about it. Not now. That writing is as much craft as art, and you will need to work crazy hard before you succeed—don’t worry about it now. For now, just be ten. Lie on that bed, cuddle your stuffed poodle, watch the breeze lift the pink rosebud curtains. Wiggle your toes, and pick up one of the books strewn all over your room. Don’t think about who wrote that book. Just step inside it and make it yours, as only a lucky ten-year-old can. Unsinkable Cody and deep-thinker best friend Spencer are back in this sequel to last year’s “Cody and the Fountain of Happiness”. The adventures continue as they tangle with the Meen Family next door. Cody puzzles over friendship, how to be patient, the baton of love, and other mysteries in this funny, cozy story set in a lively, diverse neighborhood. 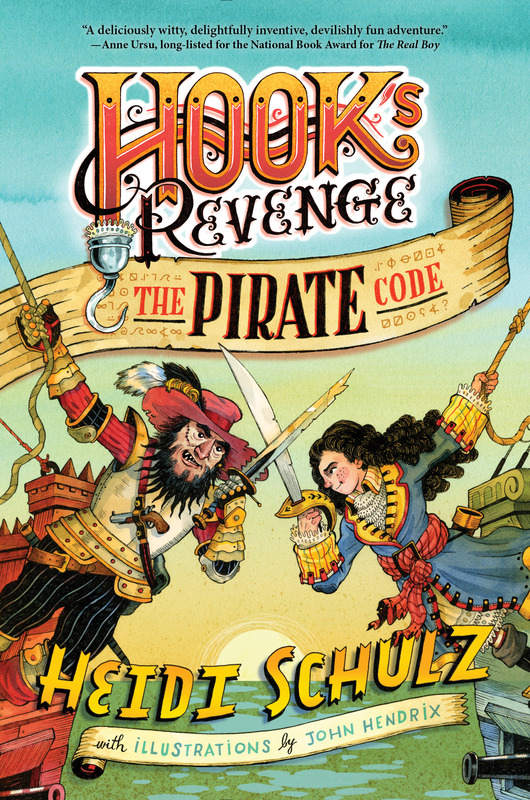 School Library Connection says, “Readers of all ages will readily relate to Cody and the characters around her. 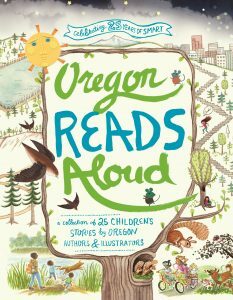 This book is perfect for young readers ready to move on from beginning books and early readers.” Once again illustrated by that genius, Eliza Wheeler! 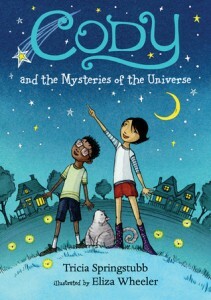 Find Cody and the Mysteries of the Universe on IndieBound and B&N, get personalized copies on triciaspringstubb.com, or ask for it in bookstores and libraries near you. 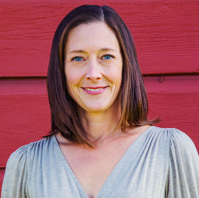 Tricia Springstubb is the author of books for kids of all ages, including the award-winning middle grade novels What Happened on Fox Street and Moonpenny Island. Her other new book this year is Every Single Second, coming in June from HarperCollins. Yes, she continues to be very lucky and very grateful! 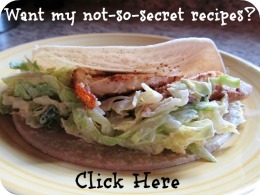 Connect with Tricia on triciaspringstubb.com, Twitter: @springstubb, and Pinterest. When I look back at you from the distant future, I see you playing with your two best friends at recess. Two years ago, you made up an amazing, complicated game, “All News Channel,” in which the three of you are investigative reporters who run around solving mysteries. You play the news anchors. You play the interviewees. You play the sports reporters and the weather forecasters and even the commercial actors, who sell all kinds of silly, useless things that make you laugh. It’s an all-consuming game, and it never gets boring or repetitive, because you and Lauren and Emi have an endless capacity for imagination. You kind of feel like it could go on forever. Unfortunately, it won’t. Because pretty soon, people are going to start thinking you’re too old to play. In a few months, you’ll overhear your parents saying your imaginary games are childish, that you act younger than your age. They don’t feel childish to you, but the comment will sting, and it’ll plant seeds of doubt in your mind. Soon after that, Lauren will start spending recess at the picnic table with the new girl in your class, who wears ripped flannel and lots of eyeliner, and the guy who inexplicably has hundreds of safety pins attached to his weather-inappropriate trench coat. Emi will get really into popular music, and you’ll feign interest when she rambles on and on about the lead singer of the Red Hot Chili Peppers. You’ll let “All News Channel” go, and you’ll start playing Four Square at recess with the other girls in your class instead. You’ll still have fun, but it won’t be the same. You’ll miss your game, and you’ll wish you still had an excuse to use your imagination every day. But you won’t say anything, because you don’t want to be seen as childish. 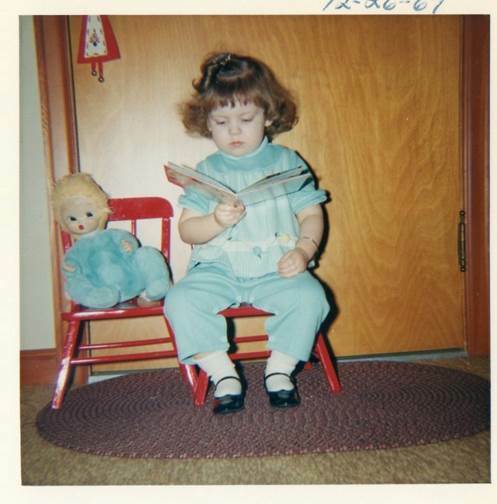 But here’s something nobody will tell you for a long time, little Alison: there’s a big difference between being childish and being childlike. Having an imagination and a capacity for wonder will serve you very well throughout your life, and you should hang onto those qualities with everything you have. They’ll make you an interesting, fun grown-up who delights in things that are different, absurd, and unexpected. They’ll ensure that you keep an open mind. And they’ll give you the skills you need to be an author who writes for kids like you. And guess what? 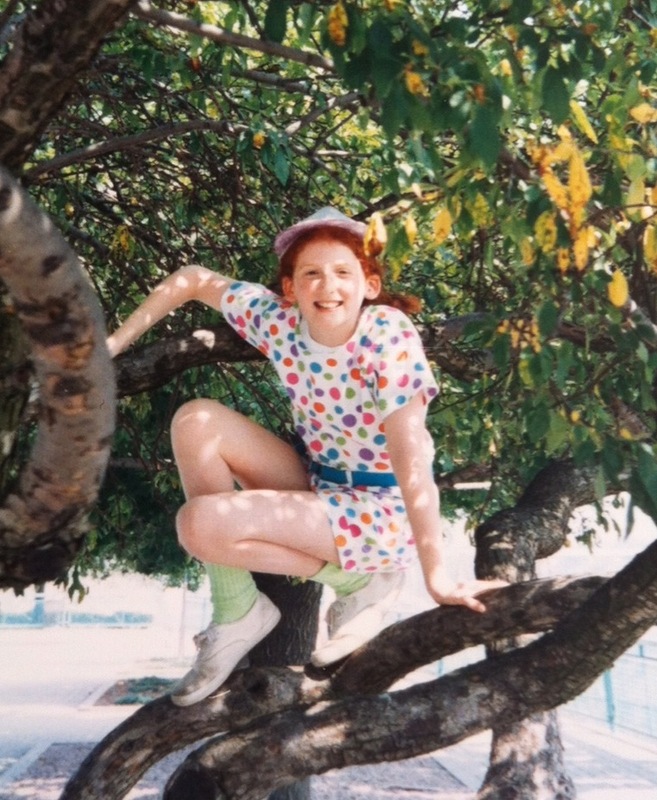 When you start writing books, you’ll find tons of other adults who hung onto those childlike qualities, too. They’ll become your best friends, and you’ll stay up late into the night having conversations full of “what if” questions. You’ll even get to write collaborative books with some of them, which will mean spending all day every day making up stories about the people who live inside your collective brains. It’ll be like an endless game of All News Channel, and people will pay you for it. So it’s okay to grieve when your game ends. But you don’t need to worry that you’ll never get to play again. You’re only taking a break. P.S. Curly hair looks better if you don’t brush it. Twelve-year-old AJ dreads spending an entire month living with her strict Grandma Jo. Not only does her grandmother dictate how she walks, what she eats, and which rooms she can enter, she fills all AJ’s free time with boring sewing lessons. 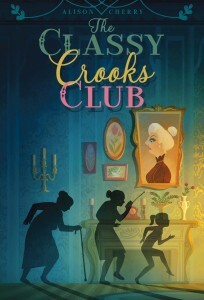 Grandma Jo wants nothing more than to transform her adventurous, fun-loving granddaughter into a prim and proper lady. But AJ’s dull summer takes a sharp turn when she discovers that her grandmother’s “bridge group” is actually a heist club. 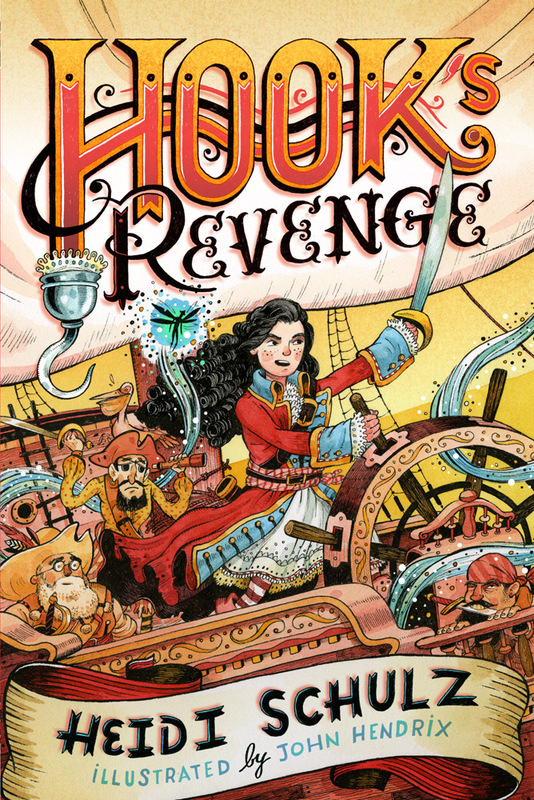 When Grandma Jo offers to let AJ learn lock-picking instead of embroidery in exchange for help with a few capers, AJ is happy to join her grandmother’s madcap band of thieves, who claim to steal only for ethical reasons. 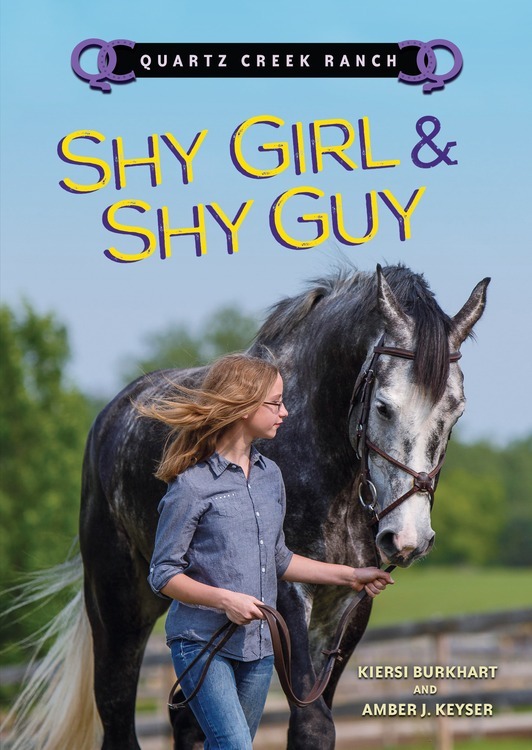 But even the most respectable ladies can hide truly surprising secrets, and AJ finds she must decide for herself what it means to be one of the good guys. 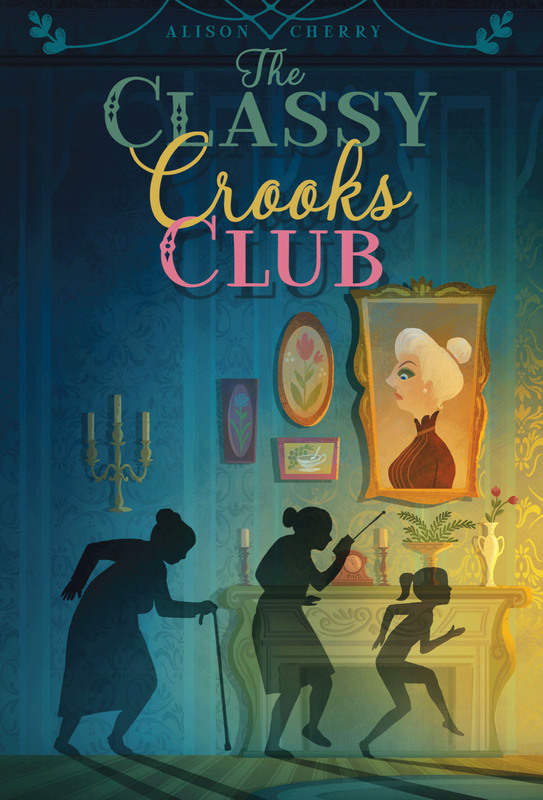 Find The Classy Crooks Club on Indiebound, B&N, and Amazon, or ask for it in bookstores and libraries near you. 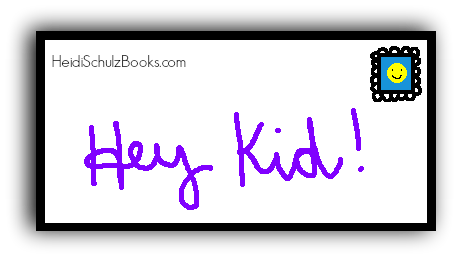 Read more Hey Kid! letters here. 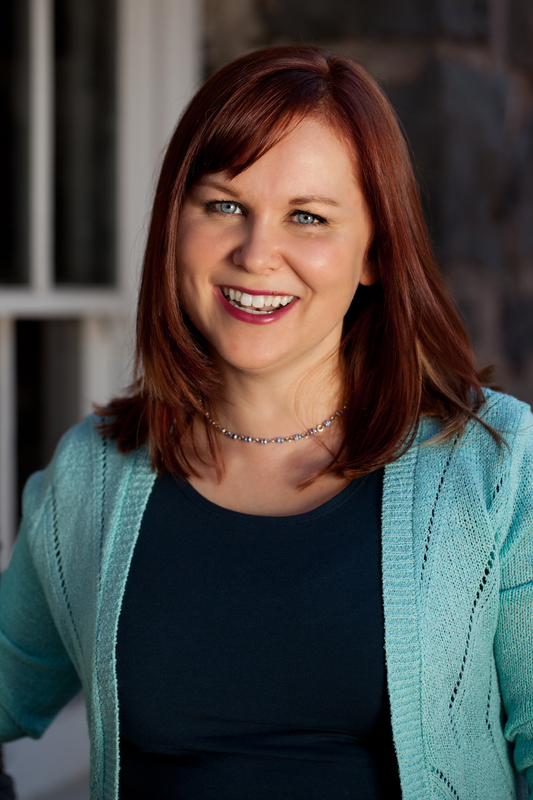 Alison Cherry is the author of the young adult novels Red, For Real, and the upcoming Look Both Ways. She is a professional photographer and spent many years working as a lighting designer for theater, opera, and dance. She lives in Brooklyn, NY. 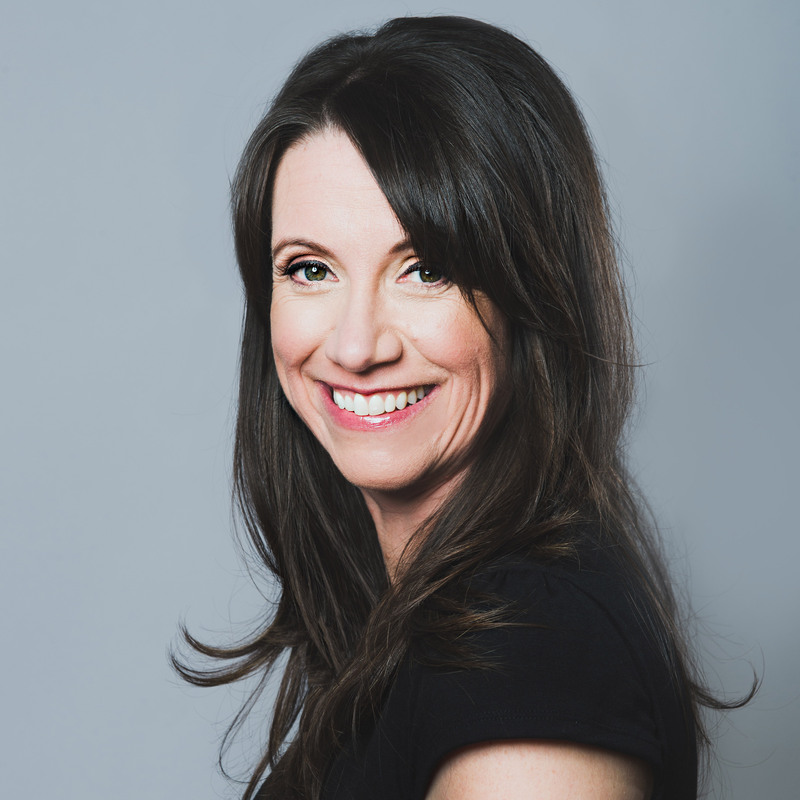 Connect with Alison on AlisonCherryBooks.com, Twitter and Instagram (@alison_cherry), and Goodreads. Yeah, you. The one coming out of the library with that…eclectic stack of books. I know the high school girl who checked those books out to you is now running around to all her co-workers, showing them what you checked out, laughing at you. So what? Why do you care what anyone thinks of your choice of reading material? -Two Nancy Drew books. Yes, you’re still a huge fan at age 12. You’re a little embarrassed by that because no one else your age reads Nancy Drew, but why shouldn’t you read what you love? –Foster Child by Marion Dane Bauer. You’ve already read that (and Shelter From the Wind), but you want to read it again. You know that Marion Dane Bauer lives in Minnesota just like you! You fantasize about meeting her (or any author). 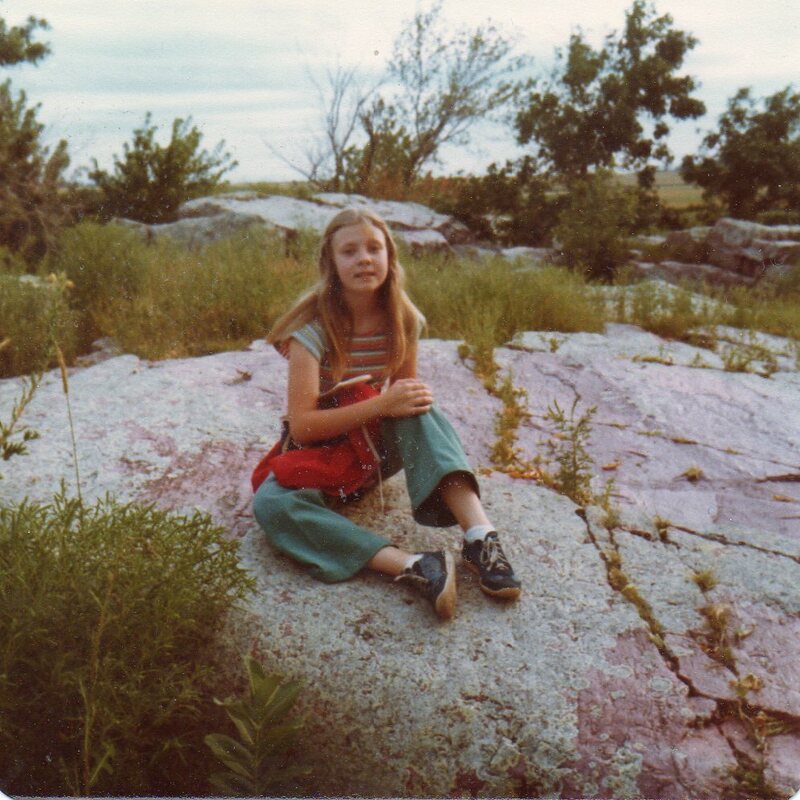 She gives you hope that a girl from southern Minnesota can grow up to become an author. –Forever by Judy Blume. The girls at school are passing a copy of that book around, but you’re too shy to ask for a turn. So you checked out your own copy. –Wuthering Heights by Emily Bronte. You like the title. And the cover. You know it’s a classic and you feel like you should read the classics because that’s what people who want to be authors read. – The Exorcist by William Peter Blatty. You aren’t sure about that book, but your best friend is reading it, so you want to read it, too. How do I know all that? Because I’m you! Thirty eight years from now! You’re not only going to meet Marion Dane Bauer, you’re going take a class from her when you grow up! She’ll read part of your second novel and offer you feedback. That book won’t ever get published, but that’s okay. You’ll learn a lot from writing it and you’ll apply what you learn to every book you write after that. You’re going to have that high school girl’s job one day. Yes, really. She’ll graduate and move away and you’ll never see her again. And the other people who work here are never going to remember laughing at you today. Pay attention to what it feels like to work for someone else because that may be the only time in your life that you’ll ever do that. You WILL become an author! I won’t lie—it’ll take a while to sell that first book. Eight years, to be exact. And even after you’ve sold five books, you’ll still feel like you’re not where you want to be…because those books won’t be novels. You’ll think seriously about quitting and becoming a midwife or a librarian instead. The idea of giving up your writing career will make you feel sick. Which is good because less than a year after you seriously consider this, you’re going to sell not one, but two novels! You’ll sell them to two different publishers within days of one another. I know the library doesn’t feel like a safe place to you now. You’ll return that stack of books and then you won’t come back for a while. You’ll go your school library instead, even though the librarian, Miss Kindstrom (don’t ever call her Blanche! ), yells! And she knows your mother. There’s something about the library that’s in your soul. You walk into a library and you feel things that other people don’t. That won’t ever go away. When you grow up, you’ll check out the library before you move to a new community. That will tell you everything you need to know about whether or not you want to live there. Some of your best friends will be librarians. You’ll be proud to know them because you’ll see what an impact they have on your community. You’ll join the Friends of the Library and eventually, the library board. And one day, when one of your own books is among the most challenged books in the country, you’ll appreciate the library on a whole new level. By the way, you’re NEVER going read the Exorcist. It’s not your kind of book. Why not put it in the book drop right now rather than haul it all the way home? 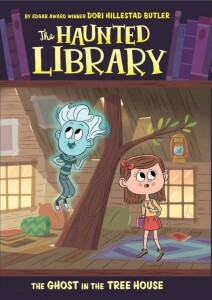 The Haunted Library is about a ghost boy and a solid girl who work together to solve ghostly mysteries and find the ghost’s missing family. #7: The Ghost in the Tree House (Grosset & Dunlap) just came out on March 29, 2016. A group of girls in Claire’s town have noticed strange sights and sounds coming from the tree house where their club meets. Is it a rival boys’ club trying to scare them away? Or is it a ghost? The girls ask Claire to tackle the mystery—and Kaz hopes to finally find the rest of his missing family members! 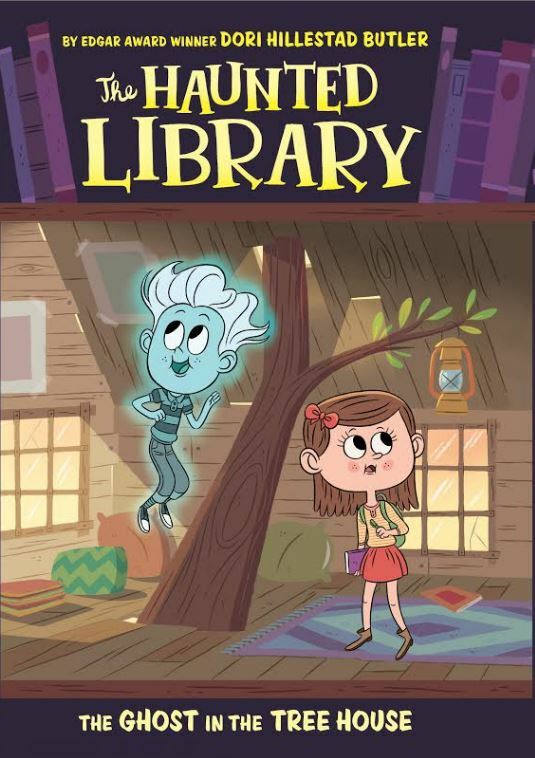 Look for The Ghost in the Tree House, and all The Haunted Library books on Indiebound, Amazon, B&N, and Seattle Mystery or ask for it in bookstores and libraries near you. 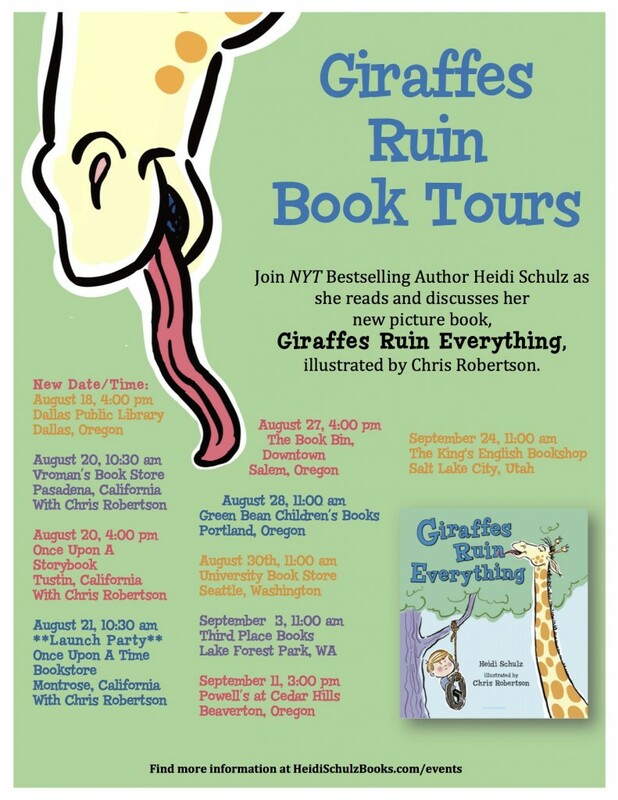 Dori Hillestad Butler is an award-winning author of more than 50 books for young readers, including the Haunted Library series. Her Buddy Files #1: Case of the Lost Boy won the 2011 Edgar Award for best juvenile mystery. 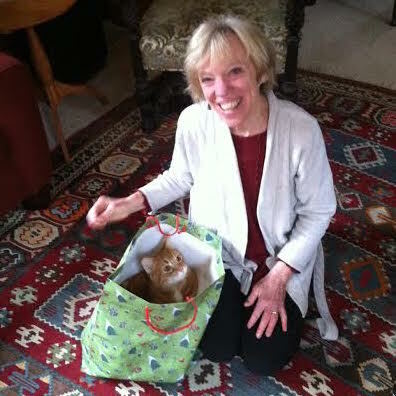 She’s been an active library volunteer, therapy dog partner, and mentor to many young writers. 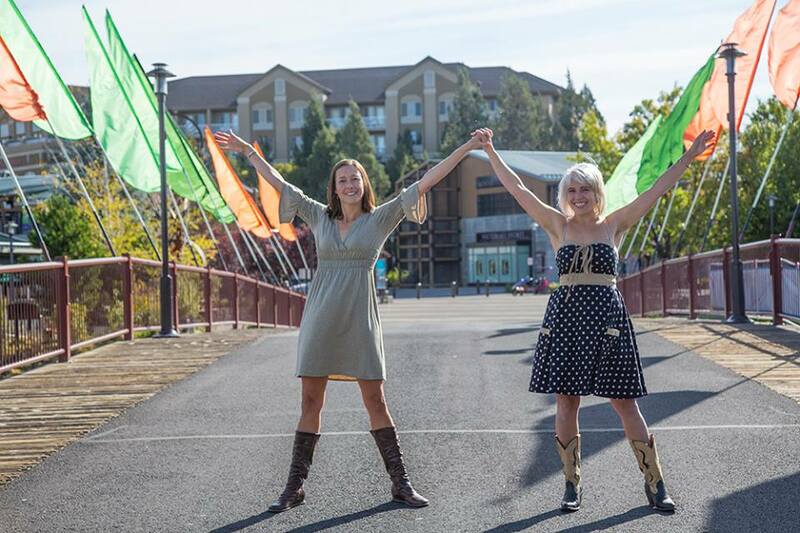 She grew up in southern Minnesota, spent 19 years in Iowa, and now lives in the Seattle area. Connect with Dori at kidswriter.com, on Facebook, and on Twitter. Guess what? I have the BEST NEWS EVER! 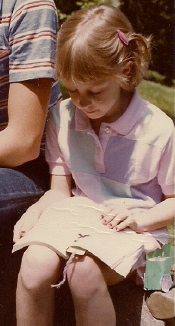 Here it is: You’re going to grow up to be a writer. TRUE FACT. You are going to write all the books that you ever wanted to read. It doesn’t get any cooler than that. Am I right? And hey, you know that Scholastic book catalogue that comes out once a month and appears on your desk like magic? YOUR books will be in that catalogue one day and kids just like you are going to buy them. If your mind is not blown by this, then I don’t even know you. But I do know you! I know you, because you are me. This is weird, right? Right. Mostly what I want to do is just reach through time to you and give you a hug, which you would find creepy and terrible and afterwards you’d immediately retreat to your reading nook, AKA your bedroom closet, which is devoid of clothes but has a nice lamp and some pillows and blankets and a fantastic stack of books. I don’t blame you. If my closet wasn’t such a mess – it turns out that once you grow up, you stay largely the same size forever, so “growing out of your clothes” isn’t actually a thing any more – if there was any room in there whatsoever, I might be tempted to do the same thing. My bedroom is in the attic now and it is very similar to sleeping in the closet, except there are skylights so that I can lie awake – I still sometimes can’t sleep – and look at the stars and think about everything everything everything. Just like you. Sometimes this “everything” is more interesting than others. A lot of times, it’s the same as your everything: Is this tooth pain a cavity? Will I die at the dentist from a severe allergic reaction to flouride? What if one day, I’m walking too close to the edge of a cliff and I trip on my shoelace and next thing you know, I’m falling? WHAT THEN? I mean, we both know what insomnia is like. It’s basically the meanest of all the mean girls. But a lot of times now when I can’t sleep, instead of worrying about dying, I can think, “What would my character do if she was on a boat and suddenly, a humpback whale breached and the boat split in two?” (That’s what I’m working on right now. Don’t tell anyone.) Anyway, it turns out that your love for the oceans will play a big part in your books later and boy, is it going to matter a lot to the world that there are people who are passionate about saving the oceans. They’re a mess. You won’t even believe what terrible things we do to them in-between you being you and you becoming me. So keep trying to save everything. Everything is going to need to be saved like you wouldn’t believe. Now listen: A few months ago, something really bad and very scary happened in your family, and the aftershock of that is that you’re going to have to change schools and start over in only a couple of short months from when this photo is being taken. This is going to be harder than you think, no lie. I wish I could make you ready, but the truth is, if I had to do that kind of “starting over”, even today, I’d do pretty much what you are going to do, which is to hide very far inside the covers of a thousand books. I was going to give you advice, like “Come out of your shell! Don’t be so shy! Smile at people!” But I’ve changed my mind because all that reading is going to pay off in the end. You will never regret a single book that you’ll ever read except for Thinner, because you’ll never be able to eat strawberry pie again after that. And you’re going to be OK. You’re going to make some great friends, who will still be your friends thirty years later, and you’re going to survive every single thing that you think you’re not going to survive. No one ever died of embarrassment, that’s the truth. Listen up: I love you. You’re great. You’re funny and smart and interesting. And eventually, you’ll figure out how to dress nicely and do your hair like everyone else. I feel lucky to have known you. I feel lucky to have been you, no matter how skinny and awkward and poorly dressed you think you are. Seriously, it never matters what you’re wearing as long as you wear it like you mean it. No apologies. If I were to give you one piece of advice, it would be this: Be brave and kind. That’s pretty much all there is to it. Take it all on with courage. And be nice when you do it. Simple, right? Oh, there are two more pieces of advice that I’d like to give, seeing as I have this opportunity. The first is this: Never Google your symptoms. Right now, the word “Google” sounds like something I made up, but believe me, you’re going to know what it is one day, and the temptation to enter all your unusual health concerns into the search bar will be overwhelming. Do NOT do this. The second is to travel, whenever and wherever you can. Travel is like reading in three-dimensions. It’s scary to go out of your comfort zone, but you’re brave, remember? Don’t say ‘no’ to adventures. It will be worth it, swearsies. Be brave and happy, kiddo. You’re going to be just fine. As hours pass, Kammie’s real-life predicament mixes with memories of the best and worst moments of her life so far, including the awful reasons her family moved to this new town in the first place. And as she begins to feel hungry and thirsty and light-headed, Kammie starts to imagine she has company, including a French-speaking coyote and goats that just might be zombies. Karen Rivers has created a unique narrator with an authentic, sympathetic, sharp, funny voice who will have readers laughing and crying and laugh-crying over the course of physically and emotionally suspenseful, utterly believable events. 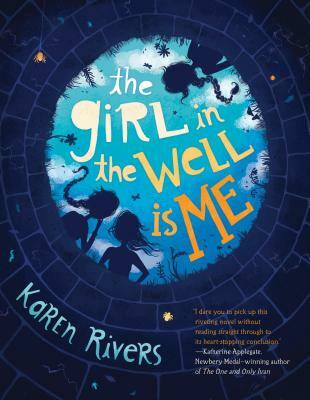 The Girl in the Well is Me can be found on Indiebound, B&N, and Amazon, or ask for it at bookstores and libraries near you. Karen Rivers absolutely loves writing books told from the point of view of kids and teens. She lives in Victoria, British Columbia, Canada, with her own kids, whose ideas she tries not to steal too often. She has two dogs, two birds, and two kids, because if one of something is good, then two of something must be twice as good. She is the author of nineteen novels. 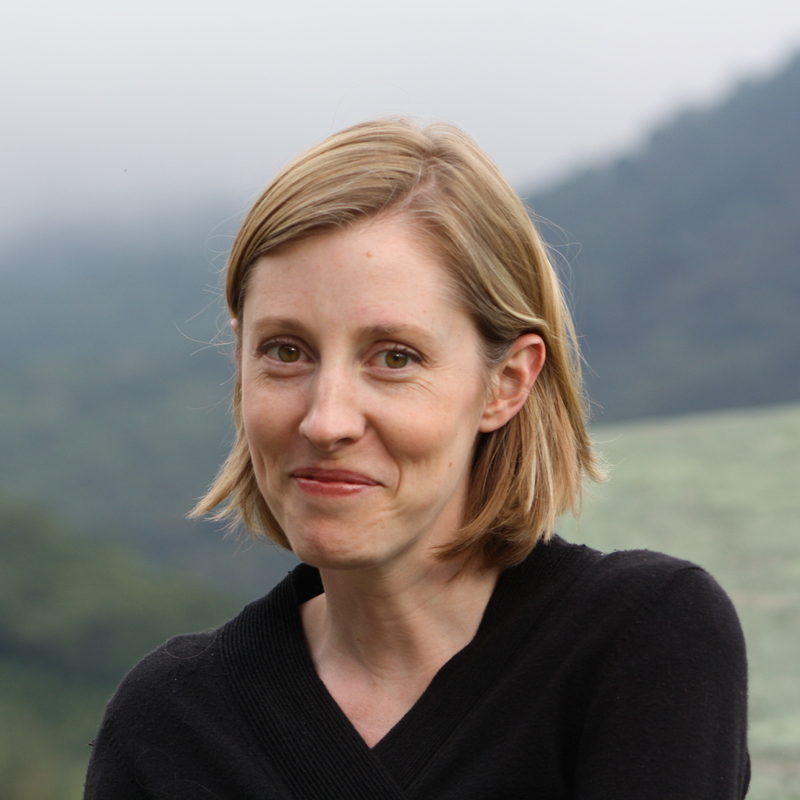 Her forthcoming books are THE GIRL IN THE WELL IS ME (Spring 2016/Algonquin Books For Young Readers) and BEFORE WE GO EXTINCT (June 2106/FSG). More information about Karen can be found at her website at karenrivers.com. You can follow her on Twitter (@karenrivers) or Facebook. This is future you. Right now you don’t much like the way you look, do you? You hate being skinny and wonder when you’ll finally grow some curves. 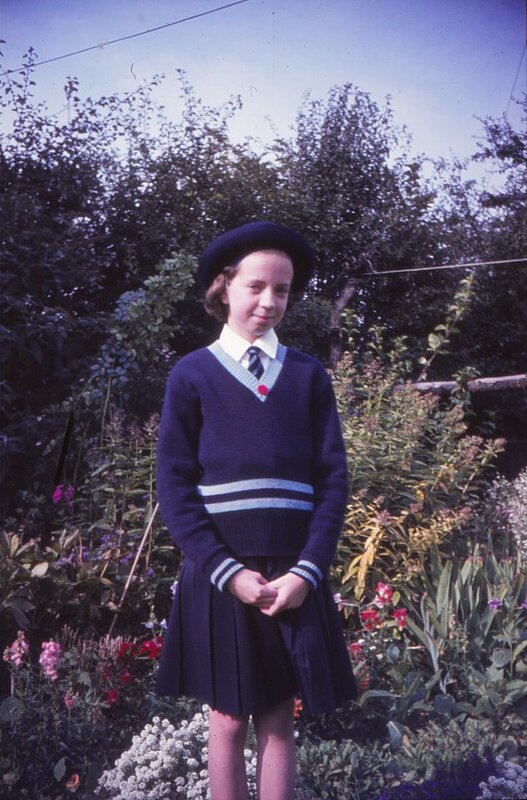 Your school uniform is awful — especially that dumb hat. You think your hair will always be a frizzy mess and your teeth will always make you look like Bugs Bunny. But guess what, thing’s improve. 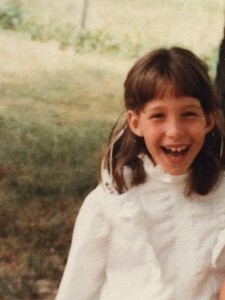 You knock those front teeth out doing somersaults on a trampoline so a dentist gives you a new pair, and someone invents a handy thing to straighten your hair, and you just kind of grow into yourself. You worry a lot — about the way you look, and whether your friends really like you, and whether your grades are good enough and … Stop! Worrying is exhausting and things will all turn out well in the end, I promise. You LOVE reading. Don’t stop — read everything you can get your hands on. Be thankful that a smart librarian gave you an adult library card when you’d read all the books in the children’s section (even though you were officially too young to have one) and that she let you read anything you wanted. That librarian gave you everything you needed to fill your mind and feed your imagination. Empathy — understanding and being able to share the feelings of others — is important and that’s what you get from the books you read, that and excitement and rage and sorrow and fear and so much more. Don’t ever stop leaving useful things for The Borrowers to find, or looking for your own Secret Garden, or peeking in the backs of wardrobes to find a way into Narnia. And don’t stop crying for Jody and his deer Flag. Skip Bilbo Baggins’s story for now, you’ll like it much better when you’re older, and as for those boys in The Lord of The Flies, they’ll still terrify you when you’re an adult. You know how you’re interested in fossils and the way that mountains and valleys get their shapes and why some rocks are gray with pink specks and others are pink with gray specks? Well one day you take that interest all the way to university and get a degree in geology. But then you won’t want to be a geologist any more because studying takes all the fun out of geology so you’ll become a teacher instead and the best part of the day will be story time — sharing books you love with the students in your class. And then something big and unimaginable will happen — you’ll leave your home in England and move to America with your husband and two kids. (Yes, you have kids). I’ve been saving the best thing for last. 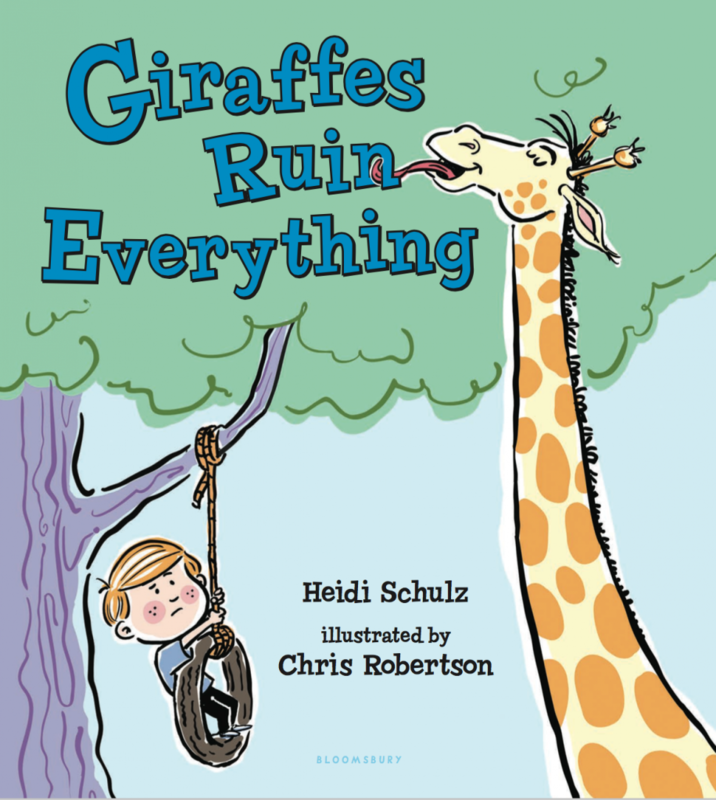 One day, when you’re pretty old, you will finally realize that there was only ever one thing you were meant to do and that’s write children’s books. You often wondered if you could, but you were never brave enough to try: being an “author” is something “special” people do, not ordinary people like you. But one day you will try and you’ll work hard and you’ll persevere. Some people will tell you your stories aren’t good enough to publish and then you’ll be crushed, but you won’t give up. And one fantastic day a book with your name on the cover will be published. You, ordinary you, will be an “author.” And perhaps somewhere a girl will love your book so much that she imagines herself riding in a Gypsy wagon and wonders what she would do if she found a lost baby in a field. So stop worrying, you’ll have a pretty great life. P.S. You know how you always skip the setting descriptions in books, well it turns out those are the bits you love writing. How ironic is that? Ten-year-old Lizzie Dewhurst is an evacuee, sent with her younger brother Peter from their city home at the beginning of World War II to live with strangers in Swainedale, a remote Yorkshire valley. When Lizzie finds a lost baby in a field, her world is turned upside down. Will she have the courage to do what is right in the face of prejudice and opposition from the people around her? Told from the alternating perspectives of Lizzie and Elijah, a Gypsy boy, LIZZIE AND THE LOST BABY explores the nature of intolerance, compassion, and the quiet bravery of ordinary people. 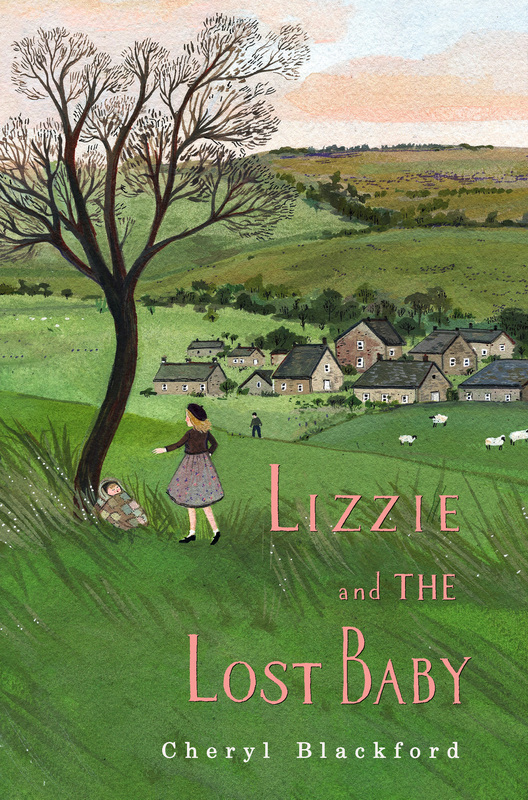 Lizzie and the Lost Baby can be found on IndieBound, The Red Balloon Bookshop, B&N, Amazon, and in bookstores and libraries near you. 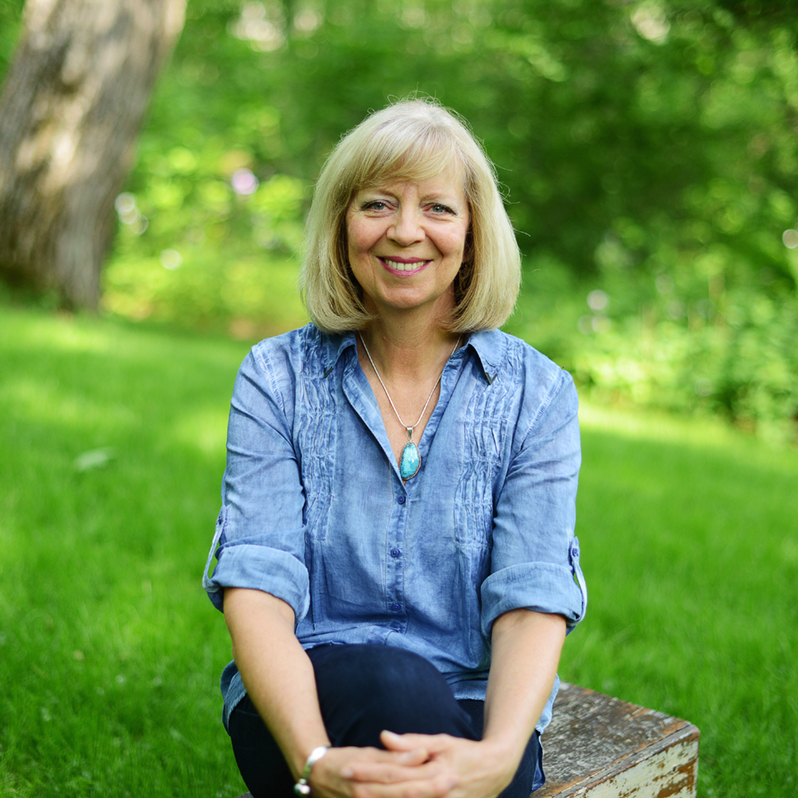 Cheryl Blackford was born in Yorkshire, England but now lives in a house in the woods in Minnesota where she is entertained by a wide assortment of wildlife, including coyotes. 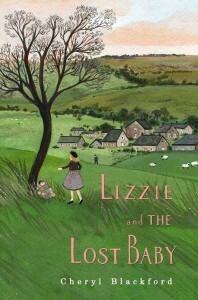 LIZZIE AND THE LOST BABY is Cheryl’s first middle-grade novel. 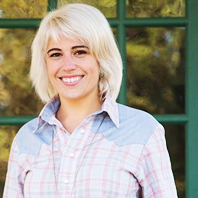 She has written three non-fiction books for young readers and her picture book HUNGRY COYOTE (inspired by a coyote she saw one winter morning) won the 2015 Moonbeam Award for picture books for ages 4-8. 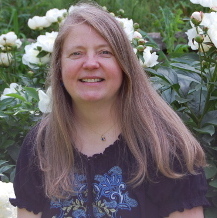 Connect with Cheryl on cherylblackford.com, Twitter, and Goodreads.